The McDan boss' unflinching support for tennis in the last five years earned Ghana the ITF certification and the rights to host the three-week prestigious competitions at the Accra Stadium Tennis Court. 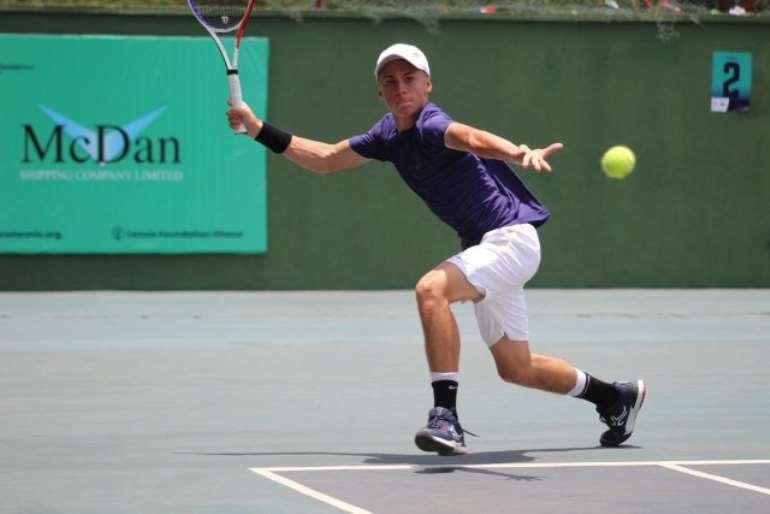 He expressed joy after witnessing last Saturday's juniors showpiece saying, " This is just the beginning, five years ago, l stood here and promised that McDan will take tennis high. "Today, l am glad to let you know that we are on course. A week has just gone by with a keenly contested junior tennis; we have another two weeks for an expected exciting tennis encounters here. "We need more competitions to keep our players on their toes and for this particular tourney, it helps the players by way of building their points. "Tennis is business, it is big and we will continue to support it till it places Ghana up there. I thank Twellium Industries Limited for believing in our dream and the other corporate institutions like Interplast, Palace Decor, Fox, Hollard Insurance, Ann Natural Mineral water, for coming on board. 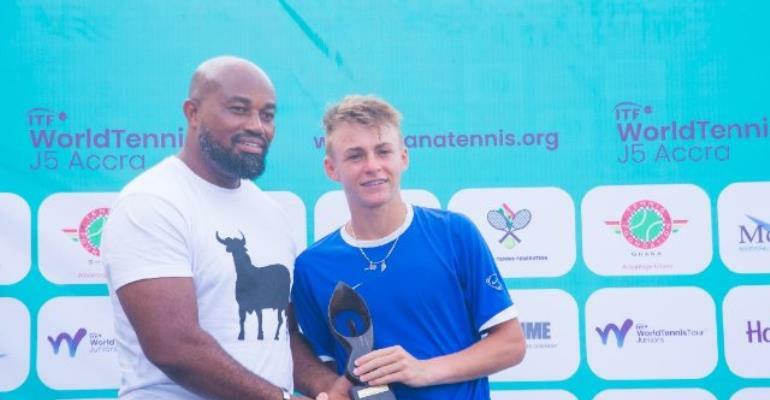 Mathis Bondaz confirmed his status as one of the world's best young players with a stunning victory over Seychelles Damien Laporte to lift the Accra ITF 7 World Junior Circuit trophy for the boys singles. "He's had a great tournament and I wish we have many more tough matches in the coming month,” said Bondaz of Damien Laporte. In the girls' finals, Chinese Han Shi beat Egyptian Hagar Ramadan to win her first ITF Junior Circuit title. For a 13-year-old, Han Shi displayed amazing focus throughout the week and never lost a set.